1350 C.E. : Aaliyah, was an ambitious little vixen. She definitely had her eye on Tut. 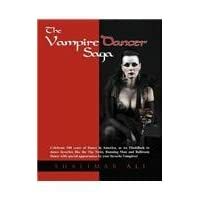 Yes, she knew he was a vampire, and, yes, they HAD met before—a question he kept asking her as he plied her with wine in his private chamber. While the other dancers performed with practiced grace, her seductive dance was meant only for him. And he had caught the beckon of her hips as her eyes drew him in—maneuvers that could easily be chalked up to the belly dancer’s trade, but which she made sure to let him know with her subtle glances and movements were only for him. In the end, he had dismissed the other girls but took her back to his chamber. Now as they drank wine from golden goblets in his medieval palace, and she giggled flirtatiously, insisting light-headedness from the wine, she thought of their child, Aten, born almost 3,000 years ago, the product of a long-forgotten rendezvous. It was not the last time they met, but it was the time that came to mind now. She had liked that name for the dark-haired, olive-skinned boy, who was ultimately raised by priests to later become a priest himself—his royal heritage unknown, even by the people raising him. Oh, well. She would, of course, conceive. She always conceived. 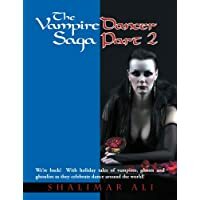 This was their destiny: clandestine meetings between courtesan (always a belly dancer) and high ranking official (king, priest, noble man—depending on the time and place) — always to result in a child. Sometimes he knew about the child, sometimes he didn’t. Sometimes he would offer support for the child, but he never acknowledged the child, never claimed it for his own. Why did she always draw him in when she knew how it would end? 1980 C.E. : Video Killed the Radio Star played on the radio as the taxi pulled up to the pristine steel and glass building where he lived. Alyce held the tiny, tightly-wrapped bundle in her arms as she maneuvered out of the taxi, paid and stood, staring up at the building. The baby was unaware of the forces—millennia in the making—that swirled around him as he slept. She finally, moved forward to the door. There was no need to buzz. The doorman recognized her and let her in without question. She knew he assumed that she and Hutch were boyfriend and girlfriend, but such a relationship requires acknowledgement. What they had were rendezvous—a number of them after that corporate gig where they first met. 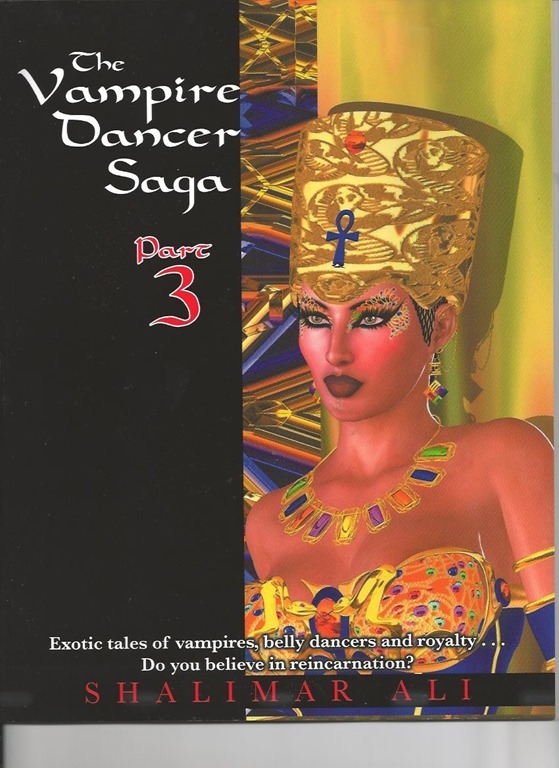 She was the entertainment—belly dancing: a tradition with a surprisingly long history; he was the office golden-boy newly promoted to CEO after that last merger he helped to broker—now with an income and status beyond most people’s wildest dreams. The girls had all been at their most seductive and provocative to try to get their own little piece of this golden boy. But, in the end, he had chosen Alyce. Didn’t she know from the beginning that that is how it would go?